113 Sr. John Digbies Medicine for the Stone in the Kidnies Take a pound of the finest honey and 7 quarts of conduit water set them on ye fire and when it is ready to seeth scum it and [stil?] as the froth doth rise. 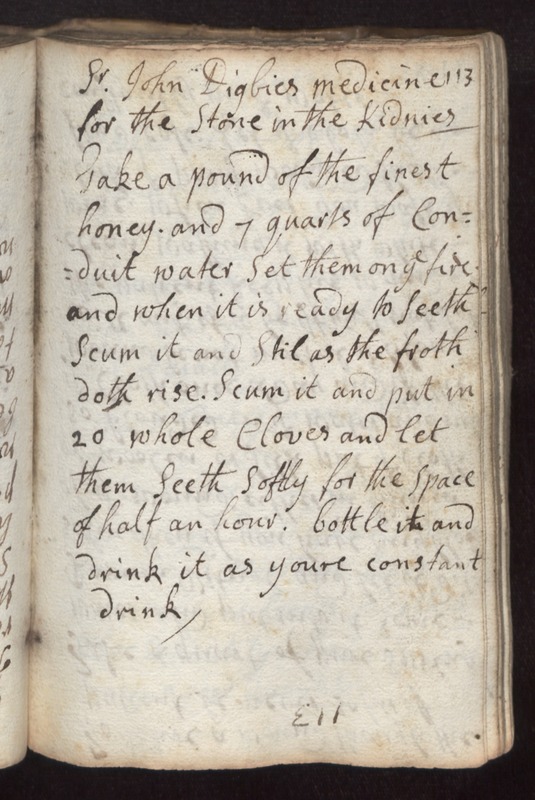 Scum it and put in 20 whole cloves and let them seeth softly for the space of half an hour. Bottle it and drink it as youre constant drink.